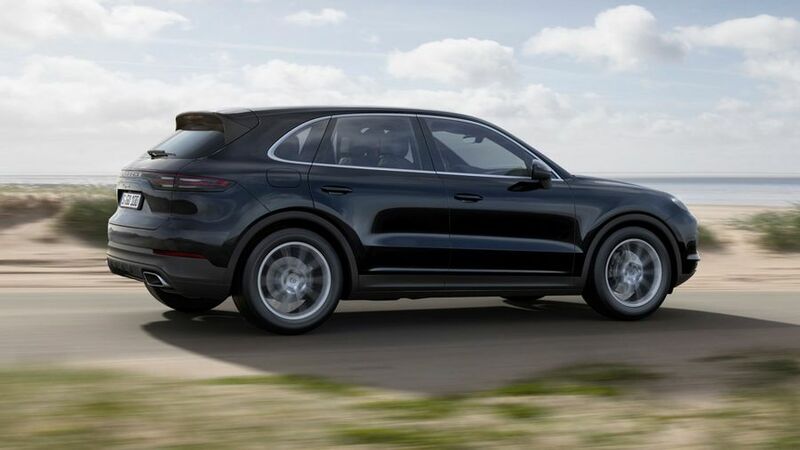 This is the all-new Porsche Cayenne, now into its third generation. When the first Cayenne was launched in 2002, reactions from Porsche lovers weren’t wholly positive, but it wasn’t long before the Cayenne became Porsche’s best-selling model. The biggest-seller is now the Macan, but the Cayenne still counts for a quarter of Porsche’s total UK sales. The new Cayenne’s looks aren’t a big step away from the previous generation, especially from the front, but there are a few small design updates. There are full LED lights front and rear, as well as on the inside, too. There are also some bigger air intakes, and a more streamlined look overall, as the car is 63mm longer and 9mm lower, although there's no change to the distance between the front and rear wheels. At the back, there are more obvious changes, with a new full-width LED light, and slimmer tail lights. The smallest wheels available are 19-inches, with up to 21-inch wheels available on the options list. Inside, it’s much less cluttered than in the outgoing model. Most of the buttons have gone, replaced by touchscreens and panels that control everything. The driver has a central tachometer dial to look it, which has two 7.0-inch full-HD displays either side, showing relevant driving data and additional information accessed through buttons on the steering wheel. The 12.3-inch touchscreen is standard across the range, as is all the usual smartphone connectivity; and, there are four USB connections. Online services and internet access are also standard, as is satellite-navigation with real-time updates. As the Cayenne is now 63mm longer, there’s 100 litres more space inside. Even those over six foot will have plenty of space in the back, and that’s with the optional panoramic sunroof. That 100 litres of extra space can also be used to increase boot capacity when the seats are slid forward and folded down. The total space is now 770 litres with the seats up. 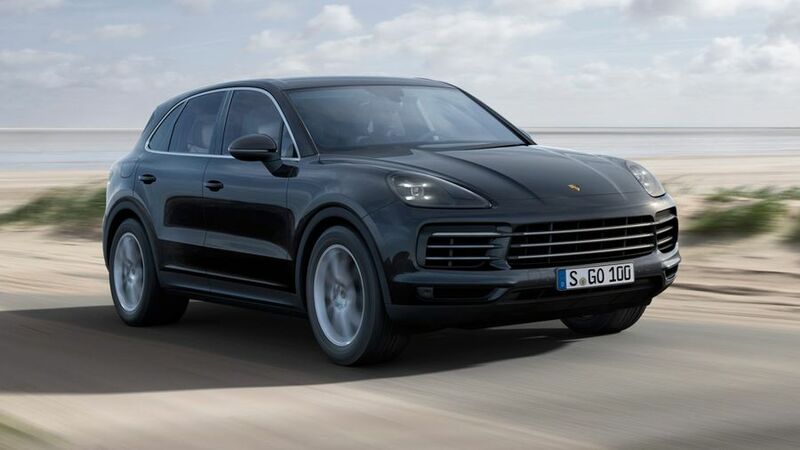 At launch, two versions of the Cayenne will be available. 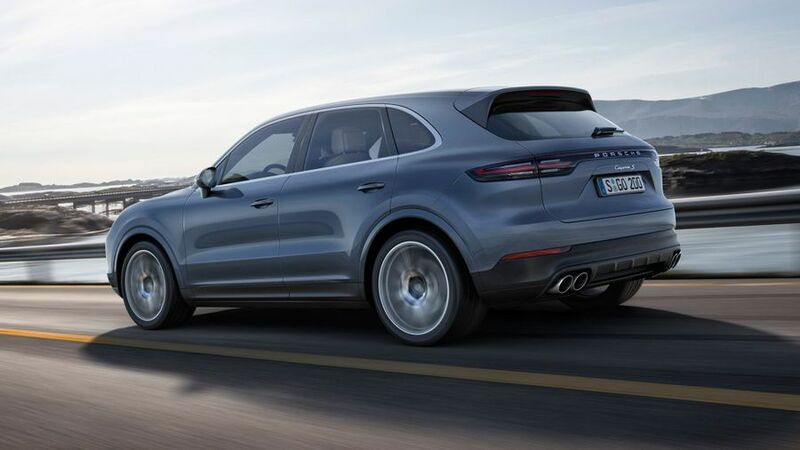 The base model will have a 3.0-litre V6 petrol engine with a single turbocharger, and the more powerful Cayenne S model has a 2.9-litre V6 twin-turbo petrol engine. They’re both paired with a new eight-speed Tiptronic S automatic gearbox, and hybrids and performance Cayennes will join the range further down the line. 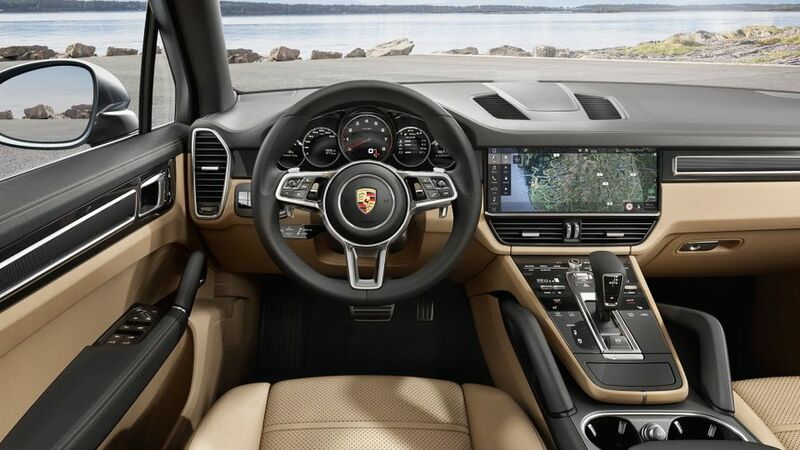 If you plan to tackle some rough terrain in your Cayenne, you can switch the mode from on-road, to mud, gravel, sand, or rocks, which alters the chassis settings and differential locks, and shuffles the power around between the axles. The Offroad Precision App documents rough terrain in detail, and uses video recordings, so drivers can improve their skills. In terms of the Cayenne’s rivals, it really depends on which version you’re looking at. The base model rivals the Range Rover Sport, BMW X5 and Mercedes GLE, while the plug-in 'e-hybrid' model takes on the Volvo XC90 T8, Tesla Model X and Audi Q7 e-tron. Then there’s the performance Cayennes, which are up against the Range Rover Sport SVR, Mercedes-AMG GLE 63, Audi SQ7, and even fast estates like the Audi RS6 Avant. The all-new Porsche Cayenne goes on sale in the UK at the start of 2018. Despite all the extra standard kit, there won’t be a big jump in starting price, with it costing from £55,965.